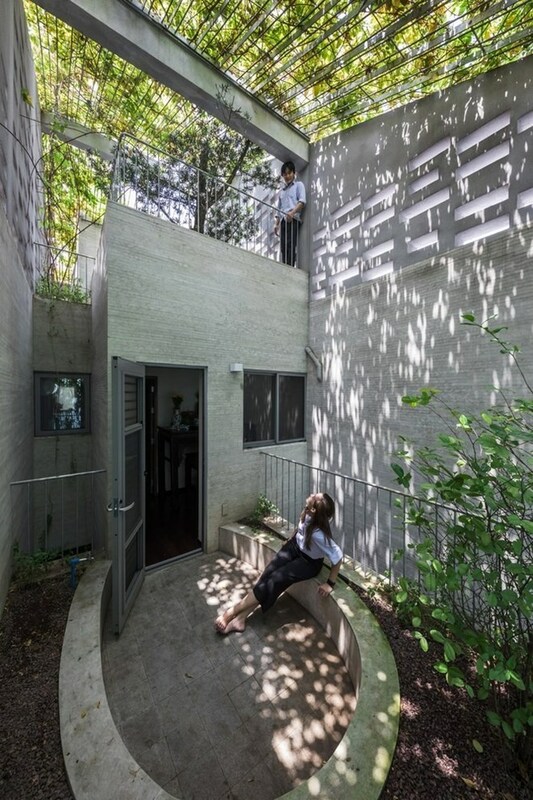 Hanoi (VNS/VNA) - VTN Architects run by one of Vietnam’s leading designers Vo Trong Nghia has won three Green Good Design 2019 awards from the European Centre for Architecture, Art Design and Urban Studies and The Chicago Athenaeum: Museum of Architecture and Design. The designs by the company include Phan Ke Binh House built in Ho Chi Minh City in 2016, Nocenco Café in the central city of Vinh in 2017, and Bamboo Stalactite Pavilion in Venice, Italy in 2017. “Members of the European Center’s International Advisory Committee - worldwide leaders in the design industry - served as the jury and selected over 100 new products, programmes, people, environmental planning, and architecture as outstanding examples of Green Design from 20 nations,” Ioannis Karalias, the Chicago Athenaeum Museum’s vice president, wrote in an email to inform the company of its success. Nocenco Café is located on the rooftop of a 7-floor building in Vinh city.